Let us help meet your Block Watch needs. For additional information or for help in getting your block watch started, use the “Contact Us“ link in the menu bar above. By the way, we do get quite a few email rejects during our mail-outs so if you haven’t been receiving our emails, perhaps your address has changed or we could not correctly read your info on our sign-up sheets. The “Contact Us” link can rectify that situation. “Contact Us” is an easy way for the PBWAB to help you get started! The 2019 Neighborhood Block Watch Grant Program (NBWGP) application process will open Thursday, November 1, 2018. The deadline to submit completed applications is Thursday, December 6, 2018, by 4:00 p.m. Arizona local time. 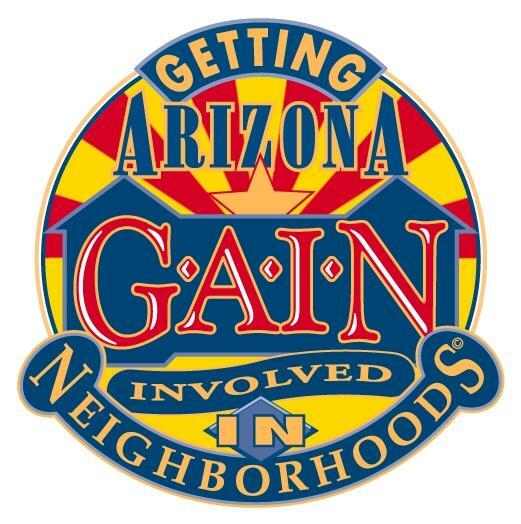 The NBWGP program provides an opportunity to enhance the safety and quality of life in the City of Phoenix through empowerment of community groups. NBWGP funds offer neighborhood groups the resources to create new and innovative programs and activities designed to prevent and reduce crime in their community. CLICK TEXT ABOVE TO READ MORE. Pedestrian fatalities in the city of Phoenix have been increasing and the Phoenix Police Department has launched a campaign to remind everyone of some very basic rules that can help keep you alive. Sometimes we think the short cut is wroth it, but in the end, the long way would have been better. Please take a moment to share these fliers (in English and Spanish) with your Facebook friends and neighbhorhood groups. Help Solve the Phoenix Police Manpower Crisis! Criminals continue to grow more violent. Every day, the men and women on the front lines in the City of Phoenix face a full-on assault from the criminal element in our city. You and your family continue to be at risk. FACT: The Phoenix Police Department is dangerously understaffed with hundreds fewer police officers than in 2008. FACT: With 530 square miles to cover, response times for emergency 911 calls can often take 7 minutes or more. The six week academy meets every Thursday from 5:30pm to 9:00pm at various police locations within the city. Maria Villela Celebrates 91 Years! It is not very often we get to celebrate a 91st Birthday and one of our members turned 91 on August 15, 2017. Don't forget to order your gain t-shirt and show yoru community spirit and support! 4) or at the GAIN Kick-Off (Saturday, Oct, 7, 2017 at Metro Center – 10:00 am to 1:00 pm). When it's above 100° it's important to: Stay cool. Stay hydrated. Stay informed. The Phoenix Metro area will experience hot temperatures with high to very high heat risk. Heat related illness will be possible to those sensitive to the heat such as the elderly and homeless, individuals spending time outdoors, and those without effective cooling and/or adequate hydration.